Join Jo from Inside Jo. 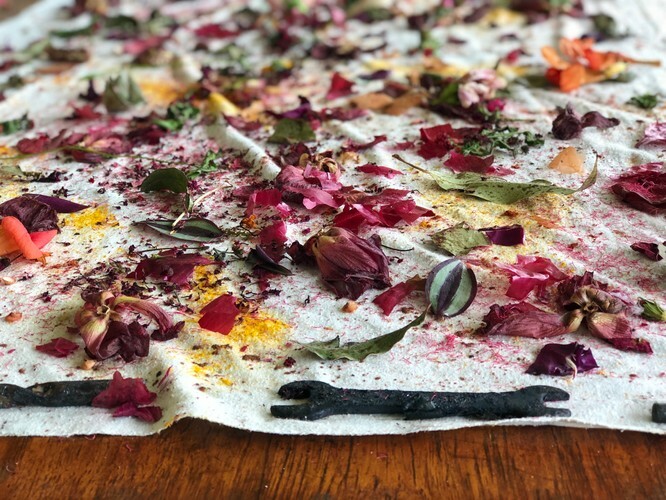 B to discover how to use natural foraged flowers, leaves from your neighbourhood and healing herbs, food scraps from your kitchen and household items to Naturally Dye fabric and fibres. 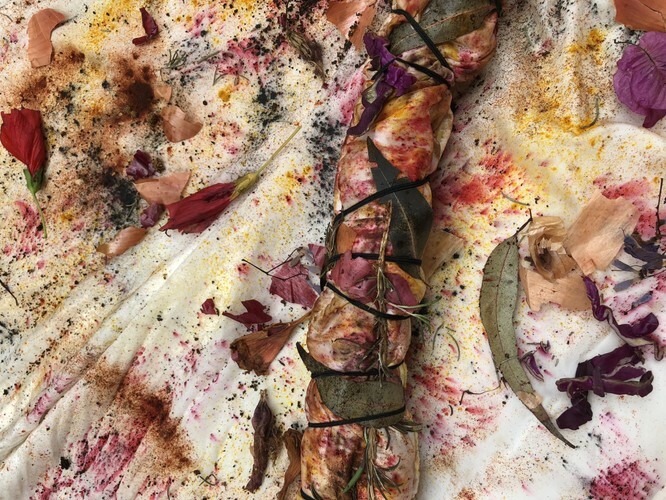 A playfully inspiring three hour workshop where Natural Dyeing basics will be shared on how to Bundle Eco Dye and create with plants and food, plus other natural materials. 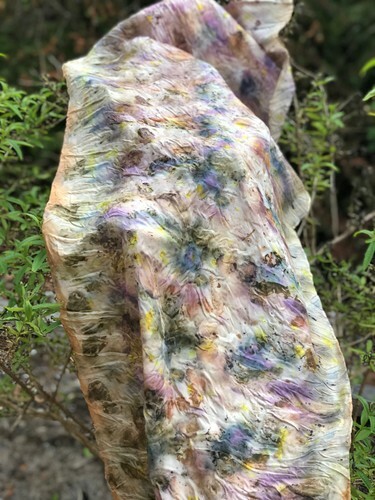 All the raw materials and a Pure Silk Scarf 42 x 160cm (Eco dyed scarves RRP $70) will be provided to decorate in all natural delightful colours, unbleached cotton & some raw silk for hammering flower patterns and digital notes with online support. Inside Jo.B is the textile design studio and small slow fashion label based in the Central Coast, North of Sydney Australia created by Joanne Broederlow. For more information on her work and story please check her website. Feel free to bring your own local foraged materials, food waste from your garden, and neighbourhood to mark the silks and cotton fabrics. 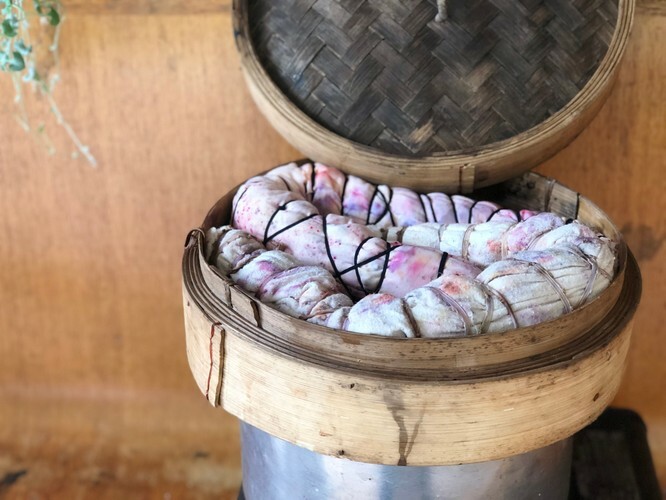 We will spend a short time wondering around the local area to collect some basics for natural dyeing our scarves. We will also Eco Dye your own t-shirt/singlet or pillow slip from home. (Natural fabrics only and pre-washed). More silk scarves will be available to purchase if preferred. Thanks for your interest we hope to see you at this event, if you have any questions please fell free to contact me.